Brookland Yoga is built on the partnerships we make with local businesses; working together to promote our services and to provide the community with unique yoga experiences. If you are a business or organization in Buenos Aires, Washington, D.C., Maryland or Virginia interested in collaborating with us, we would love to hear from you! Send us an email at sharlene@brooklandyoga.com or simply visit our contact page to get in touch. Right Proper Brewing Company: Celebrating their new production facility in Brookland with a Beer and Yoga Happy Hour that includes a yoga class followed by a social gathering in their swanky tasting room. 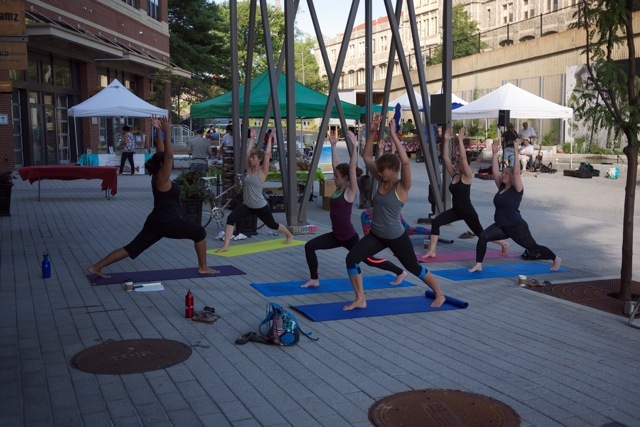 Community Foodworks' Historic Brookland Farmer's Market: Bringing yoga and local produce together by kicking off each Saturday's market with a yoga class so patrons of the farmer's market can restore and renew for a wonderful weekend. 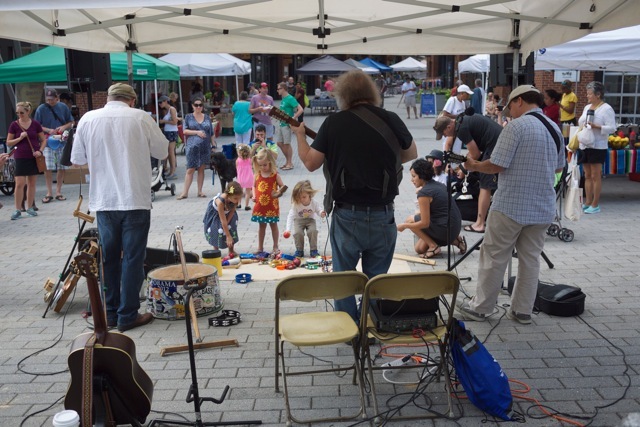 After class, yogis and newcomers to yoga mingle over coffee, listen to live music and usually go home with lots of tasty treats from the market.